How will Apple speak to its growing audiences, sustainability issues and public perception? Sometimes, you just scan the headlines, right? And they impact on you, right? Siri, Do You Use Slaves? Would you want this headline related to your product? Even if you are the biggest company in the world by market cap — or maybe, especially because you are. Heinrich’s headline (it’s a link) made very clever use of John Stewart and The Daily Show. As Apple’s market cap has grown, so has the target placed on its brand. And why not? Didn’t Apple make its marketing focus Microsoft (the market cap leader at the time) for years? When you become the biggest company by market cap in history right now (see below article), you have to expect this. Heinrich understood how to reframe Apple advertising well. She used a guerrilla headline to attract attention to her cause. Expanding. Digital. Universe. There are a lot of target audiences out there. Apple’s stepped away from greening its brand. It’s supply chain has been held up as wanting. It doesn’t matter if Apple’s competitors are using the same supply chain (some aren’t and others are paying a lot more attention to sustainability issues.) As concerns over its closed system, sustainability, patents, etc., increase regarding the Apple brand, it’s likely we’ll see more media stories, more anti-Apple posts, challenging, satirizing or taking a negative position on Apple. When you become the biggest corporation, you’d better consider the competitive threats. Big market cap means big target audiences. Audiences have opinions. Remember BP? Remember “Beyond Petroleum”? When BP CEO Tony Hayward began massive cost-cutting at BP, it’s focus on sustainability went out the window. What happened in 2010 with the Deepwater Horizon Oil Spill will go down in history as one of the greatest of environmental disasters. The disaster is now synonymous with the BP brand and a 50 per cent drop in stock price. It could have been avoided with proper risk mitigation. Sustainability leads to risk mitigation. While Apple doesn’t face the same obvious dangers to its business that the oil industry does, it’s decision-making processes regarding sustainability may be moving in the same direction as BP. They’ve both spent a lot of time and resources in court. Is innovation better done in the lab or in court? iPhones have supply chain and waste issues, don’t they? The big time: Siri, What’s “market cap”? Audiences have opinions. Apple worked a philosophy that countered Microsoft’s, but Apple’s history isn’t going to fade away. It’s going to be subverted and used against the Apple brand. Apple doesn’t exist in a vacuum. It’s made the big time. Apple is awash in cash. It’s sheer size makes the company’s margins and business seem unsustainable. 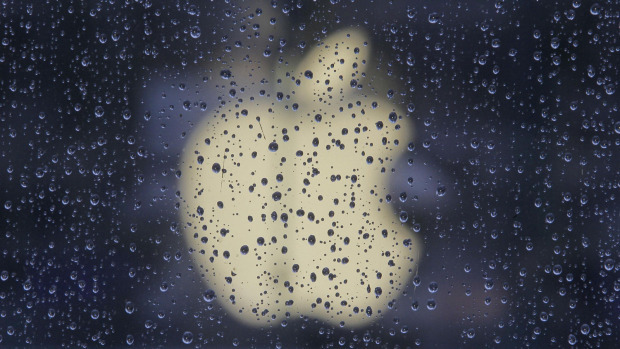 Doesn’t it make sense that Apple would move more toward sustainability? That it would want to improve its image from a sustainability/CSR perspective? Isn’t that what leaders do? 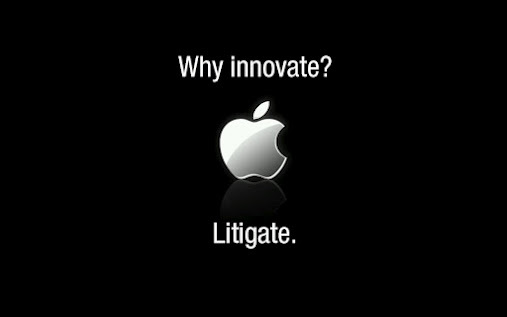 Or do they litigate endlessly? How does such litigation reflect on brand? Apple has almost $117 billion in cash. Exactly the reason why people like John Stewart are taking on Apple. It’s not the “little guy”. Like it or not, when you’re the biggest company in the world, stakeholders expect accountability. They expect a leader. Not just in innovation. Not just the “cool” of the product you’re creating. But a leader in best practices, too. Across the board. And “browning” your brand isn’t that cool. Especially when you spend cash litigating aggressively. Stakeholders want what’s open and honest. While Apple v. Samsung wasn’t related to Apple’s de-greening, it shows how aggressive audiences embrace issues and attack a brand accusing it of “brandwashing”. What of a company’s own employees? Eliminate/reduce impact on the environment. Does momentum last forever for the largest company by market cap? Not usually. Global research conducted by Hewitt revealed that organizations with high engagement generated total shareholder returns that were 29% above average. It’s not about applying to the ‘beauty contest’. Sure it’s about great products and profits, but it’s also about a corporate vision of a sustainable future — a sticky, feel-good sensation that stands for something beyond profit. It’s about who you are as a corporate citizen. About what your vision is for humankind. After all, isn’t “man the creator of change in this world”? 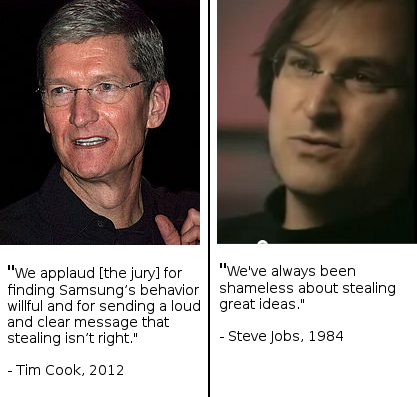 Did Samsung verdict hurt Apple’s reputation?